While the world is still getting over the biggest goof-up till date on the Oscar’s stage, we have rounded up the most glamorous red carpet looks of the most glamorous event of the year. While the 89th Academy Awards will be remembered for making the biggest and the most awkward mistake in the history of the Oscars, the stars didn’t miss the opportunity to make heads turn on Oscar’s red carpet. Watch out how the celebrities stole the sartorial show at Oscars 2017. Emma Stone, walked away with the Best Actress award, clad in embellished Givenchy Haute Couture by Riccardo Tisci. Nominated for Best Supporting Actress, Michelle Williams sported a Louis Vuitton outfit. Designed by Nicolas Ghesquière, the black velvet halter gown with a plunging neckline was teamed up with a heavily embroidered skirt. Brie Larson carried the custom strapless, black velvet ruffled gown by Oscar de la Renta with panache. Karlie Kloss wore a Stella McCartney gown with noteworthy cape detailing. 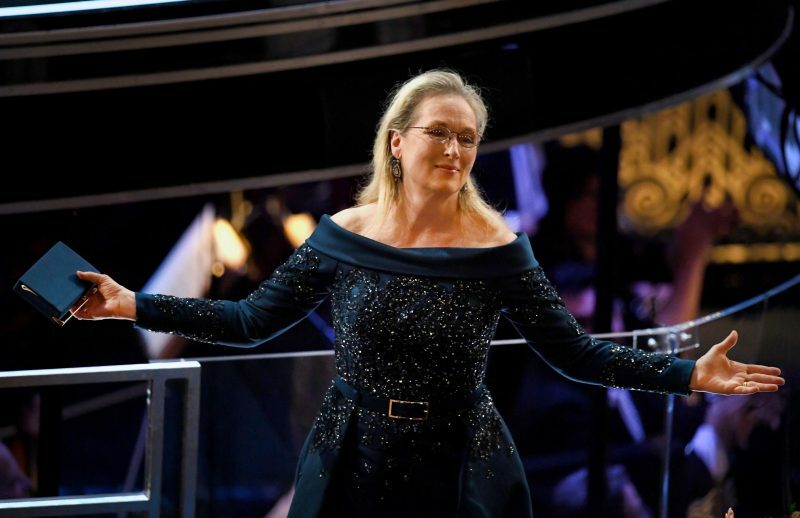 Despite dress drama with Chanel, Meryl Streep showed up in a deep blue Elie Saab creation with an off-shoulder neckline. Viola Davis, who won the Supporting Actress Academy Award, set the red carpet on fire by wearing a custom Armani Privé vermillion red silk gown featuring a halter neckline with draped, off-the-shoulder sleeves. Charlize Theron took the plunge to present the Oscar in pleated gold lamé Dior gown. Chrissy Teigen wore a shimmering white and gold gown highlighted with a semi-sheer sequined bib by Zuhair Murad. Though she didn’t step on the red carpet, Jennifer Aniston still stunned in a plunging, black sequin Atelier Versace gown with a bold thigh-high slit.